Spaces are available to hire daytime, evenings and weekends. 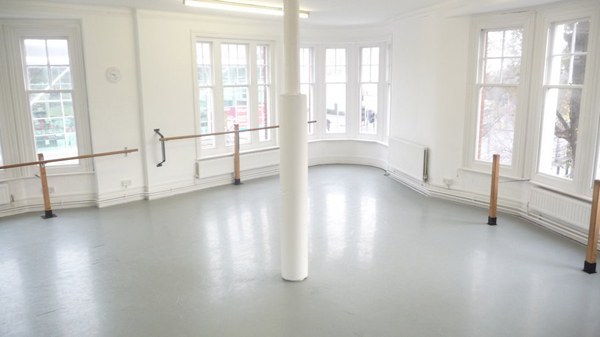 Our spaces are suitable for a range of Dance and Drama activities as well as for meetings, teaching and training, Yoga, martial arts, youth groups and so on. 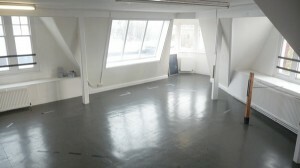 We can also offer desk or office space for artists or art based companies. Spaces are available for regular or block bookings, please contact the office for details. Weekdays: £16 per hour per space before 6pm and £19 per hour per space after 6pm. Weekends: £19 per hour per space. Bookings must be at least one hour. Bookings over 20 hrs a week will receive a 15% discount. These rates apply for regular class/workshop/teaching use. For Production Rates (filming etc) please contact the office info@actbrighton.org . Payment is in advance and a deposit is required to secure the booking. wi-fi, water fountain, tea & coffee making, social area. Available on request and by arrangement (fees apply): Photocopying and printing, Data projector, stand & screen, TV & DVD player, Laptop, PA System, Flip Chart, Paper & Pens, Stage lighting, Electric Piano, Piano, yoga mats, stage blocks, costumes and masks, Reception, Car Parking. Is located at in Kemptown and is 5 minutes from the centre of town and 20 minutes walk from Brighton station. Is located in central Hove and is 12 minutes walk from Hove Train Station. I rehearsed a play for 3 weeks in ACT in July and I was immediately struck by what a fantastic building it was. Thank you on behalf of Spymonkey for enabling our company to spend time at ACT. It is vital for creative companies to have space to work together, in peace and at their own pace. The rates you currently charge are affordable for artists and the atmosphere is conductive to creative work. 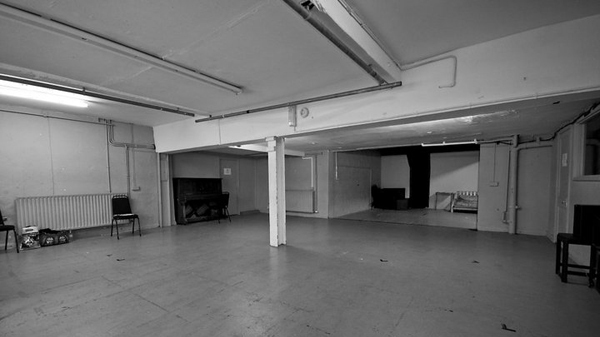 Large rehearsal space. Suitable for drama, meetings, acoustic music classes, singing etc. Stage blocks, lights and sound system available on request. A Large, light and airy space. Sprung floor, fans and mirrors. Ideal for dance classes, yoga, Pilates etc. A Large, light and airy space. Sprung dance floor, barres and mirrors. Ideal for dance classes, yoga, Pilates etc. The room is an irregular shape but measures 7.2m by 8m. High ceiling. Meeting/teaching room. Suitable for meetings, teaching, tutoring, auditions, interviews, artist or art company office space. Large rehearsal space. Suitable for drama, meetings, acoustic music classes, singing etc. Stage blocks, lights and sound system available on request. Adjacent to the studio is a WC with shower and a small gallery tea/coffee/sink area. The room is an irregular shape but measures 7m by 6.5m at its widest point.